Click the image for an interactive map. 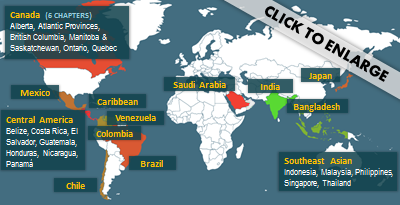 ACP has international chapters in Bangladesh, Brazil, Canada, Caribbean, Central America, Chile, India, Japan, Mexico, Saudi Arabia, Southeast Asia, Colombia, and Venezuela. Our diverse international membership extends across the globe.